Disclaimer: none of the items in this post are sponsored – just sharing things I love; there are a few Amazon affiliate links scattered throughout but as always, feel free to shop around. A couple of weeks ago when I went MIA, we were on a road trip to California to take our kids to Disneyland for the first time. When we decided to go, I started doing some research on how to make this the best, most economical, fun, memorable, efficient trip ever. It took about three google searches and six minutes before I was completely overwhelmed. It was like this whole underworld of Disney enthusiasts (some way more exuberant than others, holy cow) was suddenly brought to my sheltered attention, and it was rather eye opening…and a little frightening. If I’m being honest, a trip to Disneyland hasn’t ranked in my top 50 things to do with the family, but I got quickly and thoroughly outvoted by everyone when we realized we’d be in the general area of Disney for my cousins’ wedding. My precious minutes of research confirmed the fact that Disneyland sounded stressful and busy and full of crowds (my worst nightmare), and everything I read discussed how to maximize every single second of your day(s) in Disney with apps and spreadsheets and plans. So.Many.Plans.So.Much.Stress. Even though those types of plans usually jive with my scheduled soul, I couldn’t do it. That probably had everything to do with the months and weeks leading up to our trip. General life busyness and stress, company almost every weekend, some health challenges, and a sudden foray into homeschooling had me feeling pretty much at my max, and I didn’t have the emotional energy or time to plan a multi-page document outlining our minute-by-minute trip to Disney. But guess what? Despite the rather unplanned and headlong approach to our Disney trip, it was fabulous! About a million times better than I could have imagined, and I still can’t believe I’m saying that. We really, truly loved it. Disclaimer: I may upset many Disneyland lovers who approach their time at the park with zeal and fervor and hours of planning. Those are not bad things! I wish I had more zeal, fervor, and time to plan. And perhaps if we ever end up there again, I’ll have a completely different philosophy about the happiest place on earth, but since I really did approach our trip with minimal fuss and we still had an absolutely splendid time, I thought I’d share what worked for us and what may work for other first-timers (season pass holders, look aside). I bought tickets at Parksavers.com – a well-reputed website for purchasing Disney tickets. It doesn’t take a rocket scientist to figure out that getting extremely discounted (or free) Disney tickets just doesn’t happen unless it’s a scam. We bought two day park hopper passes which meant we could go back and forth between Disneyland and California Adventure both days and picked them up at the park (took 5 minutes) the day before. I did learn, however, that I could have saved several hundred dollars by getting a one-day ticket for Disneyland the 1st day and then doing the park hopper for the 2nd day. If you have more days to spend (of if you’ve been to the park several times), you could tailor your days there accordingly, but because Disneyland was a whole new world (haha) for us, we didn’t cross over into California Adventure until almost closing time on the 1st day and we only really did so because we had the hopper pass. A full day in Disneyland was totally doable for our family (kids ages: 12, 10, 8, 7, 3) to keep us very busy from 9 a.m. to 9 p.m. (the week we went, they had just cut the hours down from closing at 11 p.m. to 9 p.m.). The 2nd day, we spent most of the morning and early afternoon in California Adventure and then went back to Disneyland for the evening. I didn’t want to overplan and freak out if we were five seconds late to It’s a Small World, but I also didn’t want to go in blind. My solution? The night before while the kids were swimming, I sat with the Disney and California Adventure map and got my bearings about where rides were at and developed a general plan (I also had chatted with a few family members who had recently been there in the weeks leading up to it – that was really helpful, too). The specifics of the initial plan will depend largely on the ages of people you are with, but we arrived at the park around 8:30 a.m. each day. Our first day, we headed straight to the Peter Pan ride (I shouldn’t say this out loud but am I the only one that wonders what the hype is about this one?) in Disneyland while my dad grabbed FastPasses to Space Mountain, and after that, we just rolled with it, usually getting off a ride and deciding which FastPass to grab next. The 2nd day, we headed into California Adventure first and rode California Soarin’ while my dad got FastPasses to Radiator Springs. Two of my sisters-in-law swear by the RideMax app; I even downloaded it prior to our trip, but honestly, I never ended up using it. It was a little too intense for me. Having said that, the one app that we used constantly was the Disneyland app. It gave wait times as well as easy directions to get from point A to point B (and also told me how to find my blessed Dole Whips). We couldn’t have lived without it. And it’s free. Bonus. Since there are about 5,613 options in this vein, doing your own research based on your budget, family, interests is key. We opted to stay at a hotel about three blocks from the park (a Residence Inn), mostly because it was in walking distance from Disneyland (it seemed much farther at the end of the night but was still doable even if our single stroller was basically carrying all five kids) and had a free continental breakfast. It was functional and clean and perfect for us, plus it saved a bundle not staying closer to or on park grounds. 3) eat one snack and one meal bought in the park – this usually consisted of a churro or pretzel sometime during the day (ok, and maybe a Dole Whip or three, too) and then a haphazard dinner (one night most the family devoured the famous corndogs while several of us opted for an amazing sandwich at the little yellow cafe, the other night it was Bengal BBQ plus gumbo from somewhere down by Pirates of the Caribbean and the garlic cheese bagel twists). Some standouts were the apple freezes, coconut macaroons and everything else I mentioned above. 4) everyone had their own water bottle and we refilled it throughout the day as needed. I was shocked during our two days at Disneyland how many people waiting in lines didn’t know about or didn’t use the FastPass system. Even though the park was fairly crowded when we were there (most of the popular rides had wait times close to 60 minutes), we hardly waited in line because of the almighty FastPass. You can google “Disney FastPass” and get more info (although the whole routine didn’t make sense to me until we got there – thankfully it’s super easy to get the hang of). It really is the only way to get in tons of rides with minimal waiting. 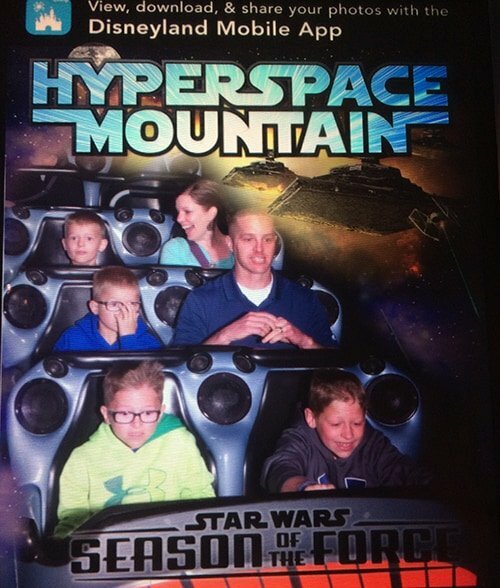 My 10-year old’s favorite ride was Space Mountain and using stroller passes (if you have a stroller, tell the agent when you get on the ride that you need a stroller pass – you can return later with up to two other people to ride with no wait time) and FastPasses, I think he was able to ride it six times, never waiting in line. I feel so strongly about this topic that I kind of feel like a stroller should be mandatory to even enter the park. Yes, even for you teenagers just there to hang out. I don’t know how we would have managed without our stroller. And to think I was tempted to simplify and not bring one! The stroller we have isn’t even very big, but Camryn (and sometimes one of the boys) rode on it nearly everywhere, and the little cubby underneath was a major blessing for stashing sweaters, hats, and water bottles. The bulky backpack with our snacks and other essentials fit on the handlebars. BRING A STROLLER! There are stroller parking “lots” everywhere and we left it often without any problems (of course taking our phones/wallets with us). 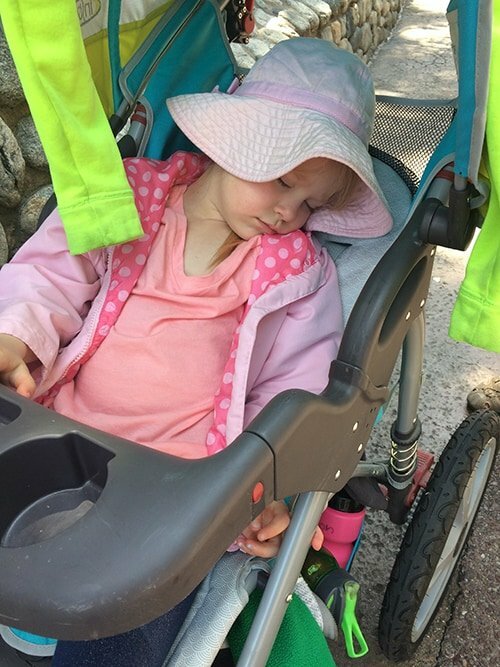 The stroller was especially dreamy when Camryn decided a cat nap was in order. I referred to this in the FastPass section, but if you are going to Disneyland with a youngish family like ours and want to avoid long wait times, FastPasses are the way to go. This means it’s awfully helpful to have someone in your party that doesn’t mind taking one for the team and running to get FastPasses while everyone else twirls around on the teacups. Insert: grandparents. For us, they were the magical solution. Having my parents there was amazing, and my dad gets some kind of senior citizen (or general good human) award for hustling his way through the park to pick up FastPasses wherever and whenever we demanded it. Crossover Travel Bag: I talked about this new, favorite bag in my last gift guide. I wore it 100% of the time (even on rides) at Disneyland, and while rather small in size and lightweight, it fit everything I needed except my large water bottle (although it would fit a 16-ounce disposable water bottle). I love it so very much. Backpack: as mentioned above, the backpack we used carried snacks, sandwiches and a few other miscellaneous things. The backpack we had was nothing special – just an all-purpose, durable backpack. It did its job very well. Power bank: because I didn’t bring my 40-pound DSLR into the park, all the photos and videos and app consulting was done via our phones which drained our batteries, so having a charged power bank was critical. 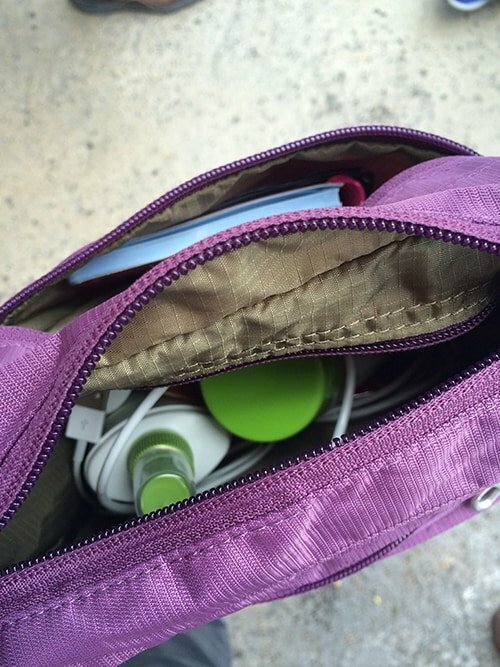 Personal Items: I brought along travel-sized hand sanitizer (one for the stroller, one for my bag), band-aids, ibuprofen, and sunscreen – all carefully housed in my purple bag. Used them all. The small size meant they didn’t take up a lot of space and I could replenish at night back at the hotel. Sweaters: even though the afternoon temps were in the low 80’s, once that sun went down, it cooled off considerably (plus it was a little breezy) and we were all glad we had toted the sweaters around all day in the bottom of the stroller. Autograph Book: I bought a little autograph book on Amazon before we left and carried it around in my purple bag. Cam scored some pretty fun signatures, and coming from a mom who isn’t diehard girly and princessy, moments like these, were priceless. One thing we did NOT bring but I wish I did was a lanyard ticket holder. You have to keep track of all those flimsy tickets if you want to get FastPasses (and get back into the park the next day!). My dad kept track of them but I can see how a handy dandy holder would be…well…very handy. P.S. I wore these shoes (in the Cement color) the whole time; I can’t say enough about how much I love these shoes. I’ve had them several years and they are still a main favorite of mine. Because I was a little paranoid about sun exposure, I also wore my beloved Coolibar hat nearly the whole time. How much money you spend on souvenirs and Disney paraphernalia is obviously a very personal decision. All of the Walmart-type stores in Anaheim sell basically the same stuff at Disneyland for a much lower price, so keep that in mind. However, even knowing that, we still paid Disney our dues and spent money on a few toys at the park. We gave each of our kids $25 spending money and told them they had to wait to use it until the last afternoon (so they didn’t drop it all on churros the first 20 minutes in the park). Every single boy ended up with a light saber, and Camryn snagged some miniature princess dolls (of which, now three are lost). The kids loved peeking inside stores and looking around, but it was a pretty easy decision on day two when they had seen just about everything Disneyland had to offer in the way of plastic souvenirs. And. I think that’s it. 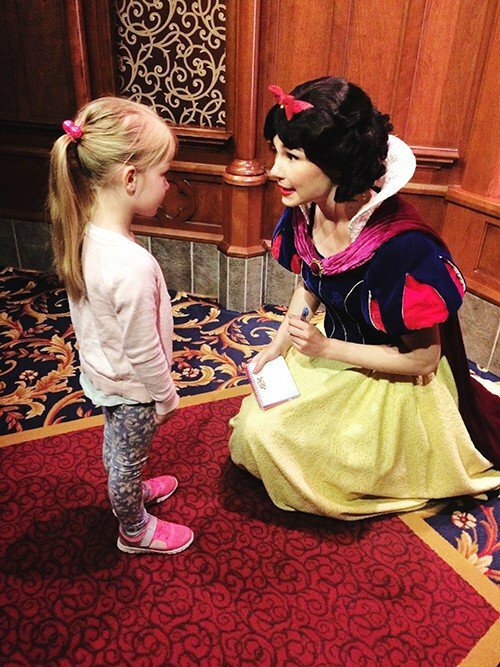 We didn’t participate in or take advantage of any princess or character breakfasts, magic mornings, and I’m sure a hundred other missed experiences, but overall, we had a great time. A really, really great time. Feel free to share any Disneyland tips of your own in the comments! Disclaimer: this post is in no way sponsored by anything or anyone. There are a few Amazon affiliate links scattered throughout the post to give you an idea of the items I brought to Disneyland; as always, feel free to shop around for the best price. We use VRBO with great success. Most of the condos come equipped with strollers, pack-n-plays and other fun things so you don’t have to lug them from home. It is nice to have a whole house to come home to after being crowded all day. The best part was I packed freezer meals from home and threw one in the crock pot before we left for the park in the morning. When we came back dinner was ready for us so we didn’t have to worry about it. I have always thought about buying those shoes. I am in the market for shoes to wear on a trip this summer where I’ll be wearing skirts and these might be perfect. Don’t they get smelly? Or you wish you could wear socks? Thanks! Hi Madelyn – good questions on the shoes. I have worn them tons and tons and I haven’t noticed that they smell when I do – but I tend to not have very sweaty feet so maybe that helps? There’s been a few times when I’ve worn those really extreme no-show socks (that barely cover the toes and the heels; I think I have the adidas brand) and that helps – you can barely see the socks while wearing the shoes. I’ve probably pinned 50 Disneyland articles on my Disney board, all with good ideas, but your’s is the first one that didn’t make me hyperventilate! You wrote about a fun and relaxed trip in a fun and relaxed manner and you made it seem easy and doable. I now have hope that I can survive when I go with my daughter and grandkids. (I’m a grandma, and my husband will probably be the designated runner.) Thanks many times over. And while I’m here, I’d like to compliment you on all your posts. Your writing is so engaging that you even make me want to try recipes of food I don’t like, just because it sounds so yummy. And your non-food posts, like your melanoma, summer reading, gift guides, kitchenware products, and now Disneyland, are so informative. I find something I want to do or buy in each one. Thanks for your hard work, and sharing it all with us. Thank you so much, Susan. And good luck at Disneyland! I hope it’s a wonderful trip! Thanks for your tip on parksavers.com. 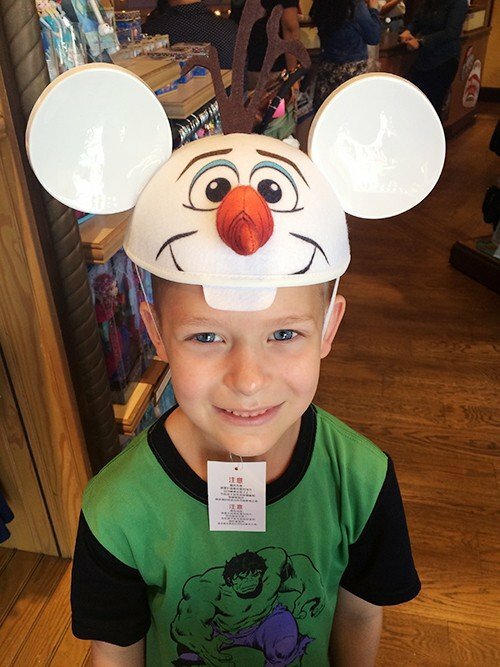 We are planning a trip to WDW in the spring and have found fantastic deals through them. I wouldn’t have thought their prices were legit if you hadn’t posted about them. Thanks! Although I’m still trying to convince myself that they really are for real! Please convince me it’s not a scam before I spend all my money!! Another place to get discount tickets if you are a BYU alumni, and depending on the number of days you are going, you can get tickets through the BYU alumni site. I’ve bought tickets through them a number of times when family comes to town. We live about an hour (on a good traffic day) from Disneyland and so we had annual passes for a couple of years. You did Disney the same way that we do. Lots of snacks & water, pack your own lunch and maybe eat something in the park for dinner. Because the dinner portions are usually pretty big we would usually buy 5 for our family of 8 and still have leftovers. Our favorite tradition was to buy sundaes at Ghiradelli and eat them while waiting for World of Color to start. Whenever I talk to someone who hasn’t been to Disney before I ALWAYS tell them to get there before the park opens, and use fast passes and stroller passes. And don’t miss the shows. They’re our favorite things in the parks! Although I do love it all. Parksavers worked for us, Becky! We printed off the confirmation and picked up our tickets the afternoon before we were due to go to the park. It worked seamlessly! I didn’t know that about BYU alum. Thanks for the tip! We have used them as well, they have amazing customer service and at Disneyland you can cancel your tickets up to 5 days before your trip! Such peace of mind. My husband and I go to Disneyland every year in May. I’ve been going since I was 5 and I’m now to old to mention my age out loud. 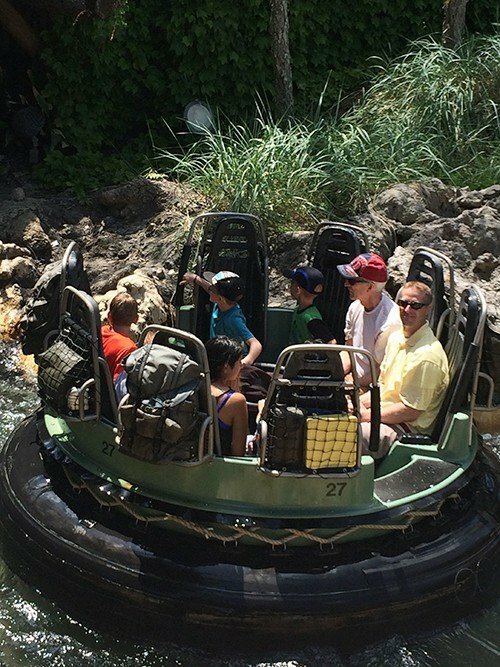 The Indiana Jones Adventure is our favorite ride with Thunder Mountain Railroad coming in a close second. FastPasses and Lockers are a must!! Lockers are centrally located and easy to dump all your stuff into for the day and easy to access anytime you need anything. Hungry Bear restaurant in Critter Country is our favorite for food that tastes really good and their Funnel Cake rivals the beignets, IMO. Might even be a bit better!! And, a cone at Gibson Girl Ice Cream Parlor on Main St. in Disneyland is a treat too. I also want to mention that tickets for the parks and for parking can be purchased on the Disneyland website. They can be downloaded to your phone or printed out ahead of time. Much easier than standing in the line at Disneyland. Love this. We just spent 4 days in the parks over spring break. Yeah, the ride lines were long, but we did fast passes for the major ones, got to the parks early, spent afternoons in the hotel pool, and then went back at night for fun. We only have one kiddo, so it was realistic for us to spend more money and time in the park. I had rough plan for the big rides each day- like the must do-,and then we let the kiddo pick the rest. Which meant we rode pirates 6 times in 4 days, but I didn’t care because we rode everything at least once. We also did the paint the night dining package at the blue bayou. And while it was expensive, the experience was worth it at least once in our lifetime. I grew up going to Disneyland each year, my husband did not. We both found this trip magical. 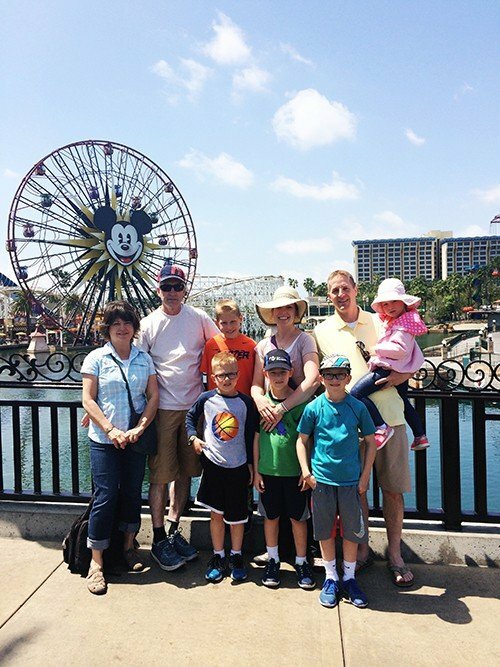 I have been to Disneyland several times, mostly, with my older children and their families and friends. The first time we went was when our daughter, Michelle entered a Sears art contest in 1980, I believe. She won an all expense paid trip for the whole family. We had an unforgettable time! Now when, we are together for vacations or holidays we often spend a day. The last time was at Christmas two years ago. If one can, that is a wonderful time to go, although the park is soo very busy! It is beautiful! How can one not like Disneyland, there is something for every age! Great fun to read, Me! It is surprising how fast your gang is growing. Cam is adorable! When we went to Disney Land, we took our Crock pot! We dumped our meal in and it was good for us when we got back to the hotel. My kids enjoyed the time at the hotel swimming and watching tv while eating more than waiting for food to come at a restaurant. We also took cooked beans and made our own bean burritos with all the fixings with the microwave provided in the room. With a little thought and planning, we had plenty to eat for our trip all packed in a single cooler. We took our kids last October and had such a great time. We booked our package through Costco which came with some awesome extras (lanyards, exclusive pins, luggage tags, free Character dining experience, and a booklet of coupons). I would suggest looking into the photo pass. It was $90 (I think) and included our ride photos and other photos taken around the parks. We ended up with over 100 full family photos. Both my husband and I had our phones with us for spontaneous pictures, as well, but the photo pass meant not having to lug my big camera around. We were just looking at our pictures today and we are so ready to go back…if only our money tree would start producing! I don’t know what they look like either but I bet you could find a picture online. Have fun!! How funny! I didn’t realize Sister Walker was your mom. I mean, I knew you were a celebrity from here but I didn’t know who your family was. Your mom was an awesome stake leader and she will be missed by us primary folk! This is completely unrelated to Disney, but you are my top go-to food blog. And my husband’s dreams are made of slow cooker coconut curry pork. Haha! Yes, she’s a pretty great lady! Thanks for the comment! 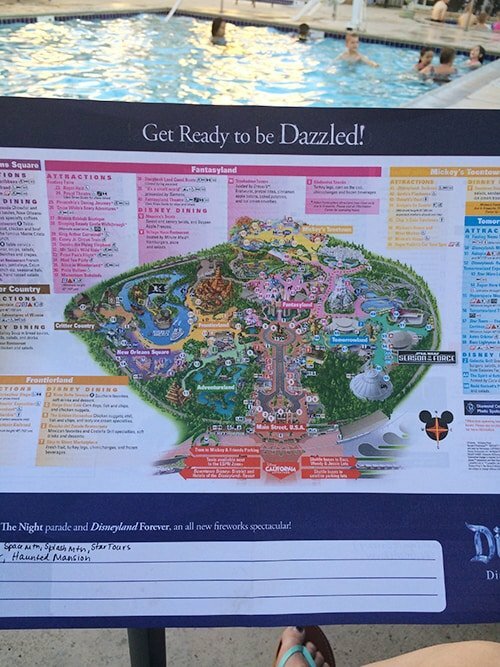 This is my kind of guide to Disneyland! I agree, searching “Disneyland tips” on Pinterest gets a little crazy and overwhelming. I’m not a huge Disney girl but this makes it look fun and not nearly as insurmountable as I had previously thought. We might have to attempt a Disney trip now! This is all so incredibly helpful!! We’re about two years away from our first family Disneyland trip, and I’m pretty sure we will handle it very similarly to you, except now I can refer to this post instead of guessing! Thanks for taking the time to post this Mel!! So, did you mean you are deciding to homeschool? If it’s not too personal would you mind sharing how you came to that decision and what your plan is? I am constantly thinking about homeschooling but just haven’t got the guts to do it yet. Hi Jenny – I pulled three of my elementary kids out in January to homeschool (still have a middle schooler at public school and Cam is only 4). It’s kind of a long story and I’m not sure what the future holds but it has been the best decision for us the last few months. Despite being totally crazy time-wise and me feeling a little stressed, I really have surprised myself with how much we’ve really taken to it and loved it. Sometimes I get on here for a recipe and then forget all about it and read everything else…click out…leave the room…and then have to come back for the recipe. 4 more weeks and I’ll be back to my usual, friendly and bubbly self. ha ha I’ll call you. We did that US/ Church History 2 years ago (driving from Utah and back- with ages 1, 7, 11, 13)- I can share the doc on what we did/ stayed/ etc if you’d like. I would love that! Thank you! Please send to [email protected]. That would be awesome, Suzanne – I’d like a copy too! I would love your document, too! Thanks! I would love it too! This trip for us is coming in the next year or two. We are bravely heading to Anaheim in JULY!!!! AHHHHH!! I am so nervous about it, but the hubby has the entire month off and it is the only time that works for us. 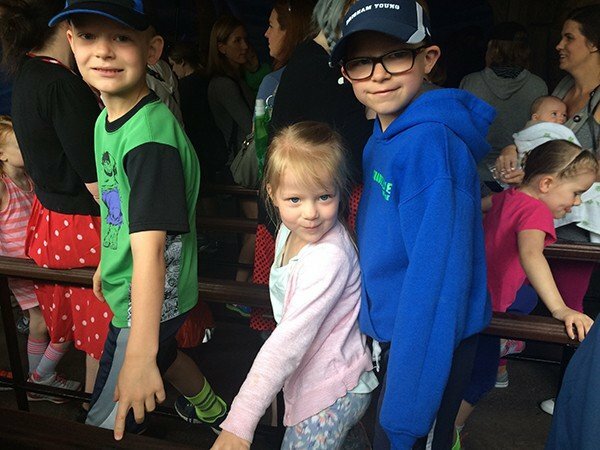 We took our young family to Disneyland in October and I so relate to this post!! In so many ways! We had grandparents with us too and it made it all the better. We loved our time and it didn’t require any kind of crazy minute by minute planning. We stayed at a hotel a bit farther from the park but with complimentary breakfast, and a shuttle. The shuttle was actually really nice. I think I would go that route again rather than walking unless we were at one of the hotels right across the street. One thing I have to throw in is how AMAZING the world of color water and light show at CA adventure is. I was pretty skeptical going into it, especially for how long we waited before hand but it was totally worth it and if we go again I will do it again. I also LOVED the fireworks show in Disneyland. I actually teared up when it started to snow! So my suggestion is to not miss these two shows. Sounds like a great time:) I would love to hear about your homeschooling bout. I’ve toyed with the idea for a couple of my kids. Some real life experience would be good to hear about. Yes! My recommendation to people is to pick two or three things for each day at Disney that you absolutely don’t want to miss. Then just go with the flow and catch what you can or what’s convenient. Disney is so family friendly and built to entertain. It’s really pretty great. And the best thing to eat are the beignets in new orleans square! Mel, I love your recommendations almost as much as your recipes! We are in Disney right now and I’m so glad you had your purple bag on a previous post – it’s been perfect. Fairly confident I’ll be ordering those shoes when I get home too. So cute! One thing we’ve loved this time is booking a condo instead of a hotel. We brought my inlaws and with 8 ppl, we were looking at 2 hotel rooms. We got a condo for so much less and its only a few blocks away and has a full kitchen and 3 bdrms. We’ve loved it! Amen amen and amen! 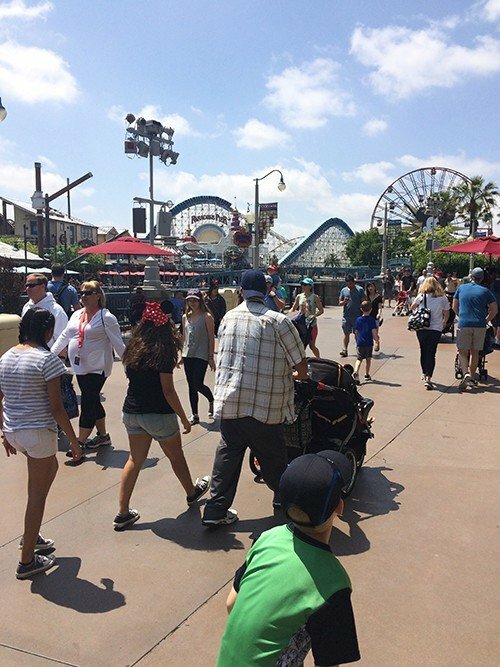 Finally, a realistic approach to a Disneyland vacation! All hail Melanie! Aww rats!! I so wish I had seen a post like this a week ago. We just got back from Disneyland. We took our almost 3 year old there. I had no clue about fast passes. The lines were all 40-60 minutes long. we got there at 9 am and stayed until closing! What’s pretty pathetic is we only got to ride less then 10 rides. All our time was seriously spent in long, long long long lines. Ya, we spent hundreds of dollars for that. We went there on a Thursday too, in april. You would think it would be less crowded. I do regret not having the begneits or gumbo bread bowls. U hear those are worth the money big time!! So glad you guys had fun. But you got to live n learn right. Next time I will be better prepared. And you’re right, strollers are a must!!!!! I loved this post! I was wondering if the brim on your coolibar hat stays stiff enough to not flop in your face, or if it is pretty floppy. I’ve purchased so.many. wide brim hats over the years but they all end up getting in my eyes which ruins the view of the beach 😉 Thanks again! That’s a good question, Kate. It doesn’t have a wide enough brim to be super floppy but it definitely would be in the floppy category. There are times I find myself flipping up the outer edge to get a better view of a soccer game but for the most part, I don’t mess with it and I think it shades perfectly without covering my eyes (just like a normal hat, it gets in the periphery of my vision, if that makes sense). Also!!! Hot tip if your kids are into pin trading! Get cheap lanyards (with pockets, Mel!) and a package of 25 or more real actual Disney pins for about $1 each on Amazon. Then the kids start with a batch of random pins that they can trade with Cast Members for pins they like better! It’s actually really fun when you haven’t spent $5-$12 for each pin. I second the pin-trading idea. We went with friends once (I had one kid, they had four) and got 100 pins for $80 on eBay. So my child had 20 cheap (but real) Disney pins that he traded with the cast members for the nice ones, which can cost upwards of $12 each in the park. He had a blast. It’s a great way to get some fun souvenirs and entertainment. I’m totally with you on Peter Pan! I was there with my young family in January and we went to Peter Pan first (at the suggestion of many blogs I read) and the line-up was insane relative to the enjoyment of the ride. I too dowoaded Ridemax for our trip but after following it for the first few rides on our first day I decided it was too intense and we just relaxed and decided to go with the flow. I was surprised that one of my favorite things in Disneyland was not even a ride but the condensed, Vaudeville-style shows of Tangled and Frozen in the Royal Theatre. They were funny and entertaining for kids and adults. Lastly, thank goodness for the fastpass! We avoided 190 minute lines at Radiator Springs. Who even waits that long for a 3 minute ride?! Thanks for the post, Mel. I can always count on you to keep it real! Yes, we loved those shows, too! Sounds like DisneyLand still does the “send one person to scan everyone’s ticket for fastpasses” system which I as you said works great! DisneyWorld had an app system for fastpasses when we were there in 2014. Really complicated I thought. We are heading to Orlando next week and had to schedule our fastpasses when we bought our tickets!! Having lived in Orlando for several years I will confirm that time of year is THE NUMBER ONE FACTOR in the enjoyment level of your trip. FL in Nov-March is a magical, glorious, wonderful place. April and Oct are a crap shoot. May-Sept are a steambath of sunburns, heat exhaustion, crowds and hour long lines that will leave you wondering why on earth you did this to yourself. We are going in May because we have free accommodations at a resort in conjunction with a conference for work but plan to spend most of our time in the pool!! Good point, Teri! We didn’t have the luxury of picking anytime of the year since we coordinated it with my cousin’s wedding but I can see how going in January or other times of the year to avoid spring break/summer traffic would be KEY! We are planning a trip to Disneyland. What residence inn did you stay at? I believe it was the Residence Inn Maingate on Clementine Road in Anaheim. I agree that Disneyland is magical enough that you don’t have to be crazy planned in order to enjoy it. I’ve only been once (when I was 15) and we went in completely blind. It was the best trip ever! It did help that we went in the middle of February. It happened to be unseasonally warm, even for California. We wore t shirts all day, but no one was there. We walked onto nearly every ride. But if I can’t go in February, your plan sounds like the best. Great post Mel! That was so interesting and funny to read! I grew up in Southern CA and Disneyland was a part of my childhood, I lived within 30 min. of it. I think we went at least once a year, and more if my cousins came into town. This went on into my teenhood. Now as an adult in my 50’s, I live an hour away from Disneyland and haven’t been since my early 30’s. And never having had children I don’t have anyone voting against me! But I had NO idea there was so much out there on planning out your visit, but it makes sense, it’s very expensive to get in, to eat, and the lines are long for rides. And if you’ll only get to visit once you’d want to maximize that visit with the least amount of cost. It’s wonderful you and your family were able to have a great time, I take for granted my ability to go to Disneyland and just roam, and come back another day…if I wanted to…if I found I suddenly liked crowds, noise, and long lines. Thank you for the wonderful story I really enjoyed it! 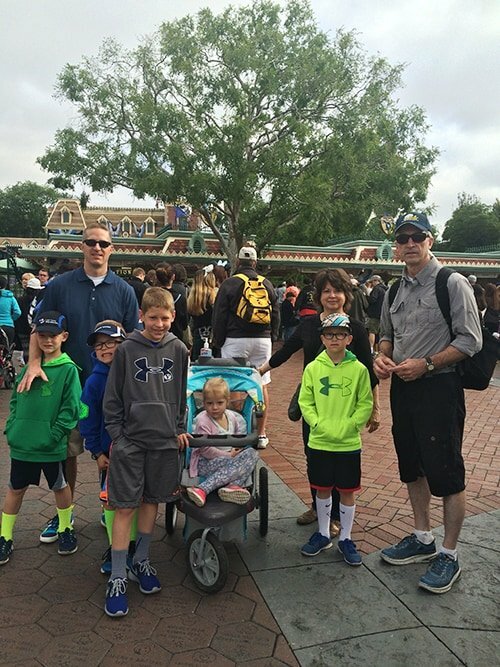 My 2 cents…….We have been to Disney three times, all in January. Not a line to be waited in for any ride! Most rides we got off and got right back in line and rode again! 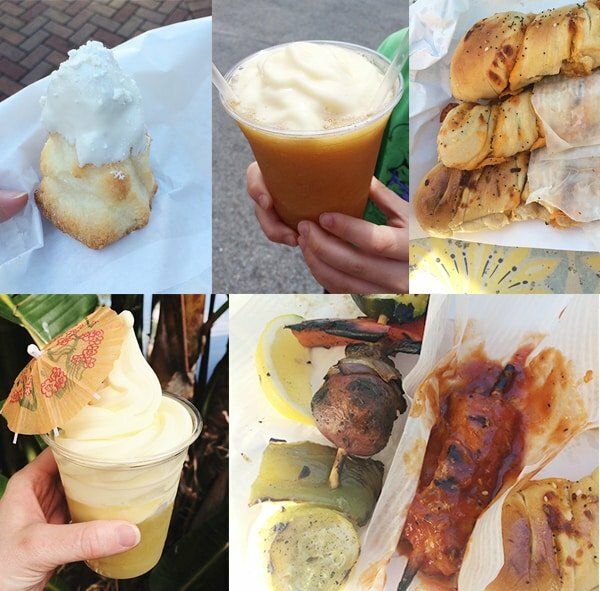 We DID eat our way through the park spending roughly a million dollars ( totally worth it!) for a family of six. My baby was eight last time we went- so no stroller for us. There are lockers available for a minimal fee. I love Disney! Glad you had a great time! Looks so fun! We go to Orlando since its closer and I’m also pretty low key about it. The one thing that is a must though is we go during a time of year when the park isn’t as crowded. No, Peter Pan is not over-hyped. Maybe you didn’t ride it when you were 5?! Still love it now. And on a different note, I’d be interested in a post about your home schooling experience. What time of year is slower for Disney World? Make with the secrets! The school year ends early here so one year we left the next day (late May before Memorial Day). Students in the southern schools were still in school, so it was awesome at Disney World. The lines were shorter and the restaurants were not so crazy. When not to go–Spring Break (March). Much longer wait times for the buses and rides. We were at Disneyland just a few weeks before you, and I was also overwhelmed by what was available in terms of touring suggestions and plans. I agree with all of your tips! We were Disney first-timers and had an amazing time! We decided to splurge and stay at a Disneyland Hotel. The two main benefits are an extra hour access before the park opens (we were able to ride Radiator Springs Racers twice! ), and with the proximity to the parks (less than 15 minute walk), we were able to take a siesta in our hotel room/pool each afternoon which made the evenings less exhausting. We did indulge in counter service dinner at the parks, but we all had kid-portions (less than $8 each!). These were more than enough, and amazingly tasty.